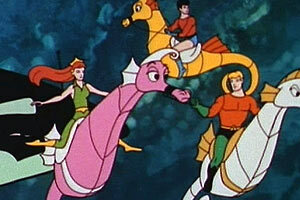 Aquaman was Healy Hamilton’s favorite superhero growing up. So what do you do with a scientist with such diverse interests? Well, we featured her in no less than three QUEST TV stories in our third season. (Incidentally, this record is only matched by another Cal Academy Scientist, Bob Full. I guess they attract a lot of very interesting people over there at the Academy).